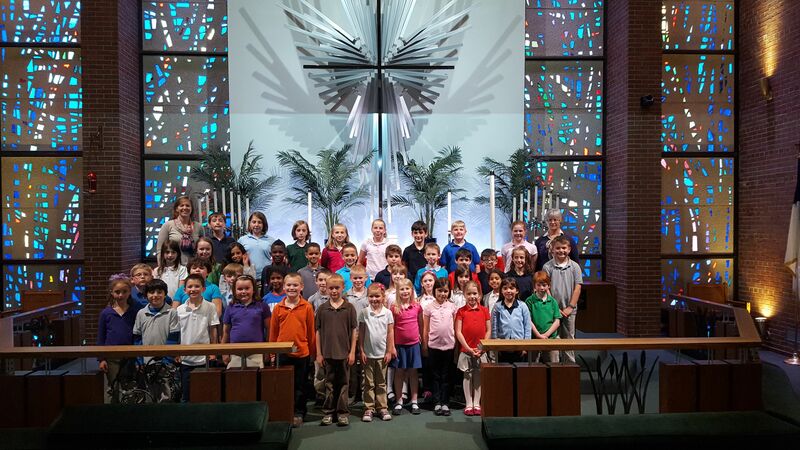 The Children's Choir is open to children in grades one through four and seeks to increase the children's musical skills and their enjoyment of God's gift of music. Currently, the choir has over 50 children. They meet twice a week to practice and sing in worship services on Sunday mornings or Wednesday evenings once per month. Highlights of the year include participating in Guardian's Christmas concert and a Lutheran Music Festival.